We are finally getting settled into our new home in Costa Rica. After unpacking our backpacks, getting beds, a car and all the little necessities that come along with putting down roots, we’re finding time to explore the area around where we live. 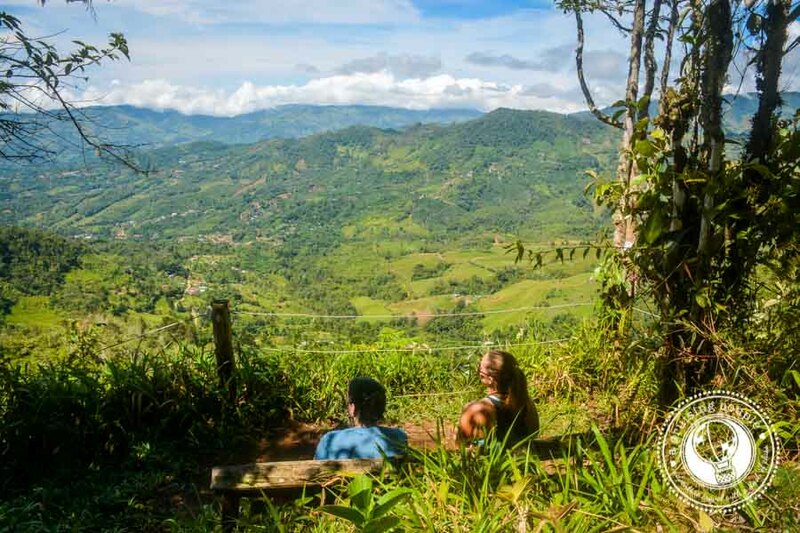 And there is plenty to explore in the mountains of Costa Rica! We have everything from whitewater rafting to waterfalls to mountain hikes, and the beach is still less than an hour away. We are very excited to be hosting Casey’s sister for a month which is the perfect excuse to get out and play tour guide. We’re falling more and more in love with the Southern Zone every day as we continue to learn about all the adventures on offer here. This particular hike is inside the Quebradas Biological Reserve which is just a 10 minute drive from our house. We’ll be explaining all the details of this epic hike in an upcoming post so stay tuned! For all the latest on our recent adventures in Costa Rica, explore our Instagram account and let us know what adventures you’d enjoy! Want to see your picture featured on our Sunday Snapshot segment? We want to see your favorite travel photos! Just send us an email at acruisingcouple (at) gmail (dot) com with your travel photo and a brief description. We’d love to have you! Hey guys! We are heading back to Canada for Christmas and then after that we are trying to decide what working holiday visa to take and Costa Rica is an option. Really looking forward to hearing how you guys settle in and what you think of the country not just as a traveller but as an expat. looks like you picked a wonderful spot!